With Google Shopping, getting the technical parts right is often a huge obstacle. That’s why I broke down every step of the setup process: how to create a product feed, how to send it to Google and how to make sure you can track the results of your campaigns. In this module, I dive deep into every single step and cover everything that can go wrong and explain exactly how to solve it. It doesn’t matter which ecommerce cart platform you’re on. There are specific video tutorials for Shopify and Woocommerce, but I’ve included a wide selection of tools and work methods you can use if you’re on a different ecommerce platform. If you’re worried that this will get too technical, don’t worry. I share my screen and you’re able to follow and replicate the exact things that I’m doing. Once you’re done with the setup, you’re ready to dive into Google Ads and launch your first campaign. After launch, I’ll show you the Optimization Pyramid, a framework that I use to optimize the different parts of my own Google Shopping campaigns. This ensures that your campaigns improve over time and generate the results you need. You’ll see me work on actual campaigns while I talk through why I’m making certain changes and how they tie into the bigger picture. With your campaigns launched and the basic optimization is taken care of, it’s time to take them to the next level. In this module, I’ll share advanced optimization tactics that will help you to save on ad spend, while at the same time scale the best performing parts of your campaigns. 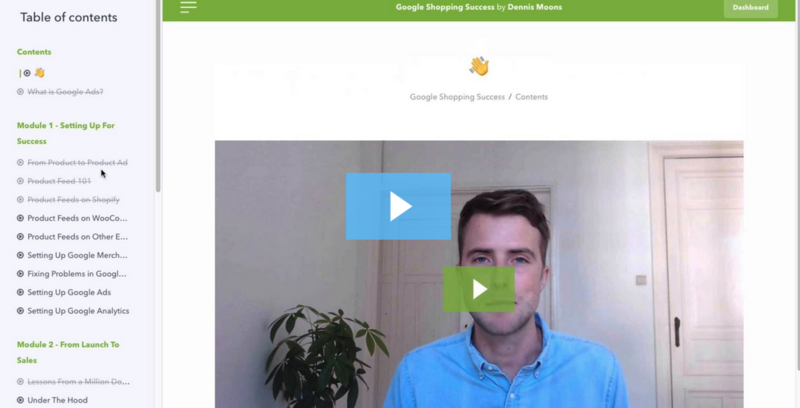 If you thought Google Shopping was a black box, these lessons will shed a lot more light on the inner workings of the system, essential to get ahead! Last edited by BlackHatX; 1 Week Ago at 01:05 PM. Hi, I want to buy it but what about Module 4? If you also got the Bonuses Included then I am in.